A fantastic evening was had by all at Hopeland’s Premiere Annual Gala. 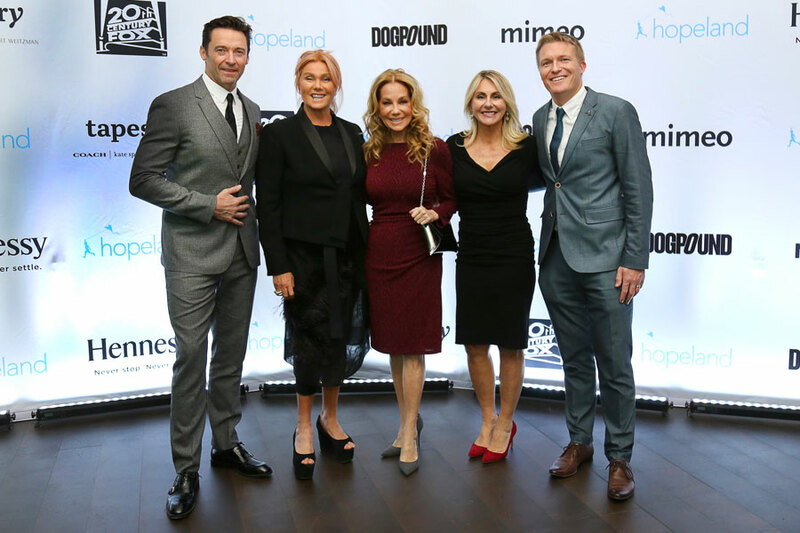 The fabulous event space at 10 Hudson Yards was packed with some of the biggest names in New York City who joined us to celebrate Hopeland’s successes and future. The highlight of the night was the official launch of Hopeland’s groundbreaking partnership with fellow non-profit GiveDirectly who are one of the leading names in direct cash transfers. Hopeland’s Co-Founder Deborra-lee Furness was proud to make the announcement to the filled-to-capacity room. Our partnership with GiveDirectly is a campaign to test whether direct cash transfers can reduce family separation and as a result help to prevent children from being placed in orphanages, trafficked, or forced to live on the streets. It was a very successful launch that raised a lot of money for the campaign as well as raising awareness and publicity for our campaign. We were even mentioned by Kathie Lee Gifford on the Today Show the next morning! Hopeland’s cause is to find better ways to keep children in families. The evidence in favor of direct cash transfers as an effective poverty reduction tool is overwhelming which is why we are working on this campaign. The mothers in Kenya who will be impacted by this program typically live on just 70 cents a day – we believe that if we can empower women with direct cash transfers that could more than double their income then we can prevent family separation and all the terrible things like trafficking, abuse, and homelessness that come with it. Please follow this link to learn more about our global work, share Hopeland’s story, and get involved.